Amelia "Mela" Meisner Lindsay (1903-1999) was born in Kindsvater Chutor, Russia and immigrated to the United States with her family in 1905, settling in WaKeeny, Kansas. She married Jim Lindsay in 1927 and spent the remainder of her life in the Denver, Colorado area. Lindsay authored numerous articles and short stories about the experiences of Germans from Russia, many for young readers, and is perhaps best known for her novel, Shukar Balan = The White Lamb: The story of Evaliz, published by the American Historical Society of Germans from Russia in 1976. 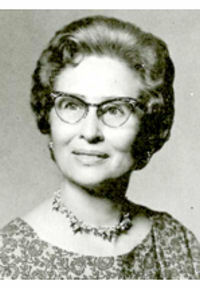 She also wrote a column, Spilled Coffee, for the Denver Police Protection Association's newspaper for many years (Jim Lindsay was a Denver police officer) and authored, A Window Into the Iron Curtain: A Series of Interviews with Russian-German Displaced Persons Who Fled Russia During World War II, 1941, in 1972.